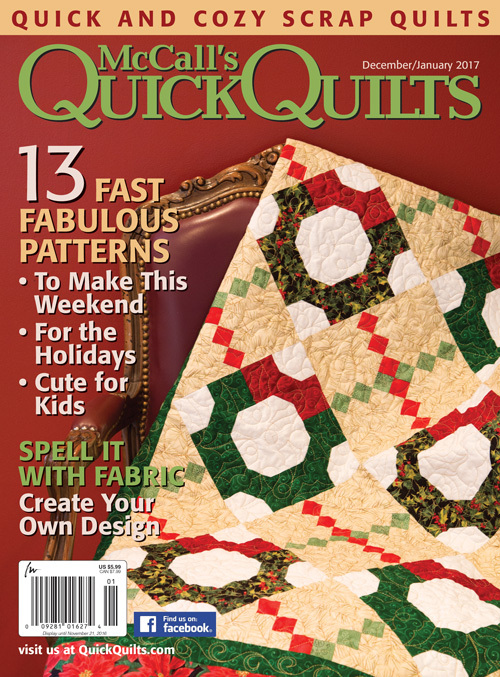 Domino in McCall’s Quick Quilt (December 2016/January 2017) and Giveaway Winner! Hello Friends, I hope you are well. Those of you who were/are affected by Hurricane Matthew, please know that you are in my thoughts! It’s not a secret I can’t ride a bicycle, hahaha! I know — it’s crazy, but it’s true. Pretty much when it comes to anything athletic, you can just put me at the bottom of the pile, and stuff me in a closet. Though I can’t ride a bike in real life, I certainly can in my fiber universe! 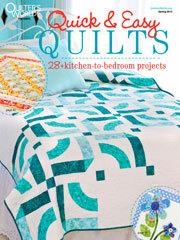 Just look at my Domino quilt in the latest McCall’s Quick Quilts issue! :) Click here to read more about the quilt. My Domino quilt is made with Flower Pedals fabrics by Windham. You simply have to get yourself some of these amazingly beautiful fabrics!!! I love love love them. 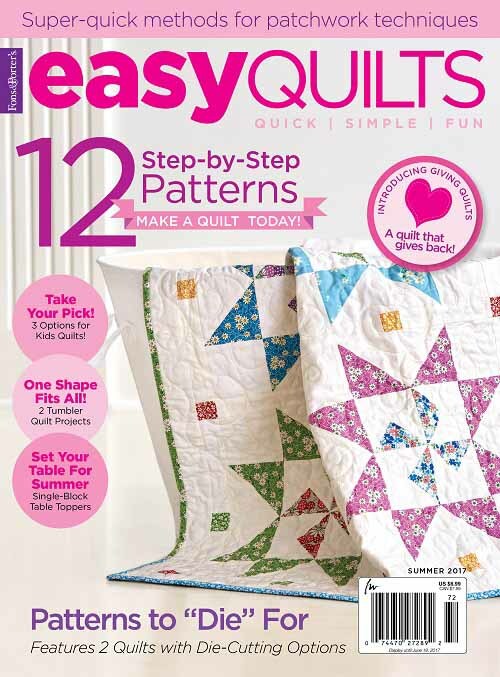 If you recall, earlier this year, I had shared a free-to-use Tulips Quilt pattern using the same fabric group. Click here for pattern download information. 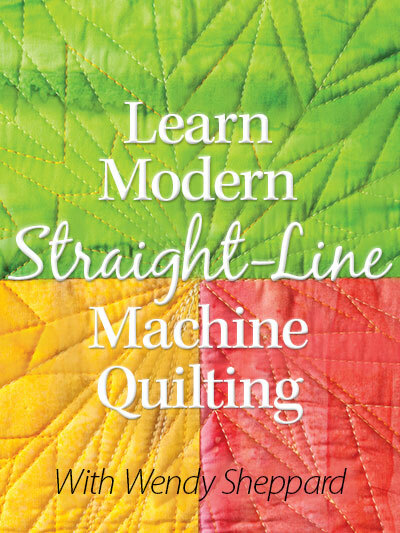 To start off the week, I am happy to announce the two winners of my McCall’s Quilting Nov/Dec 2016 magazine giveaway here, generously sponsored by McCall’s Quilting. I really appreciate all the kind words you said about my designs…. please know that I am immensely touched as I read them!!! I have emailed you asking for your addresses – please email me back with your addresses, and I will get the magazine mailed out to you. That’s it for now – I will catch up with you later! 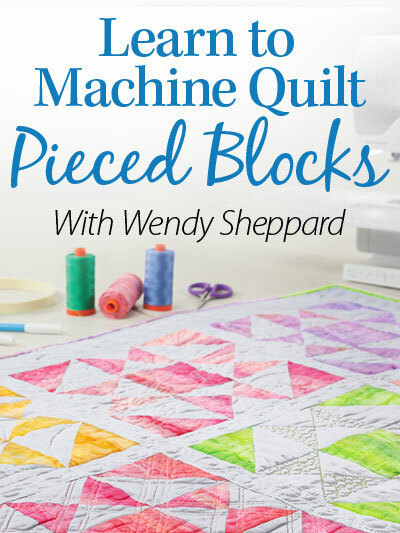 This entry was posted in Quilt Pattern, Quilting, Quilts & Projects: Published, Quilts: Pieced and tagged Domino Quilt, Flower Pedals by Windham Fabrics, McCall's Quick Quilts December 2016/January 2017, Wendy Sheppard Designs, Windham Fabrics. Bookmark the permalink. ← Rose Trellis Runner – an Autumn Project & others!!! 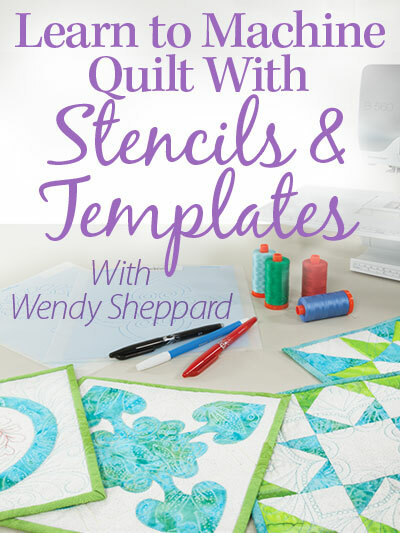 Great pattern and quilt for showcasing beautiful fabrics! I have been looking at those bicycles– I rode a bike all the time as a kid, then hung it up. When my daughter was in college, she rode in the MS150 twice, and I bought her a new road bike for it. Unfortunately I put the first scatches on it trying to ride again. Bicycle riding is definitely a thing of the past. 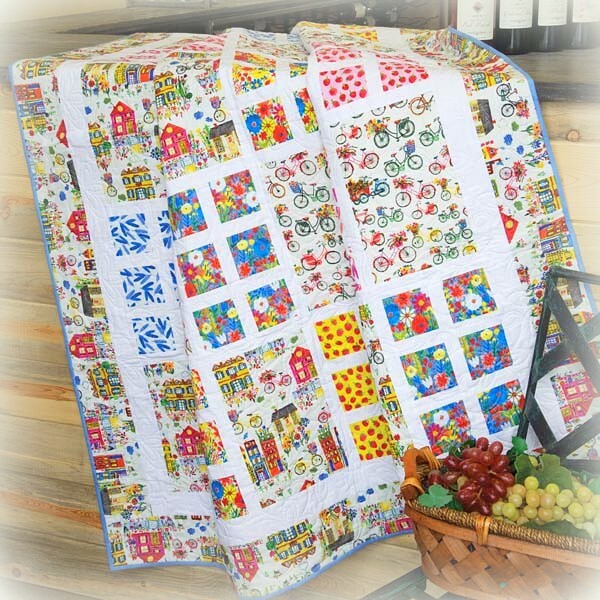 In fact, my most recent riding was done on a tandem bicycle with my husband as the “captain.” Love the colorful fabrics, makes me think we are headed to Spring and Summer, not Fall. Such happy fabrics…….. I can ride a bike but am terrible at any sport where things are thrown at me!! Sadly I do not see many children ride bikes in my neighborhood anymore either. 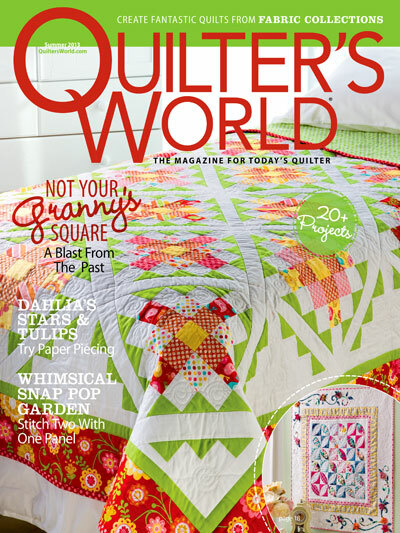 You make up for your lack of biking skills by being an incredible quilter, blogger and Mom! !